Every holiday I take it upon myself to create a meal for everyone who shows up for dinner. After going vegan a year ago I decided it was too much to ask my family to come up with amazing vegan recipes when I was the only vegan present! So I had a disastrous first Thanksgiving, and used processed ingredients like tofurkey. This Christmas I set out to wow my family, plus we had a couple of guests in town. Working in someone else’s kitchen is tough, but thankfully my parents is much larger. Of everything we ate that day, the consensus was that the beet tempura was the favorite…but unfortunately for you that is not the post I am making today. 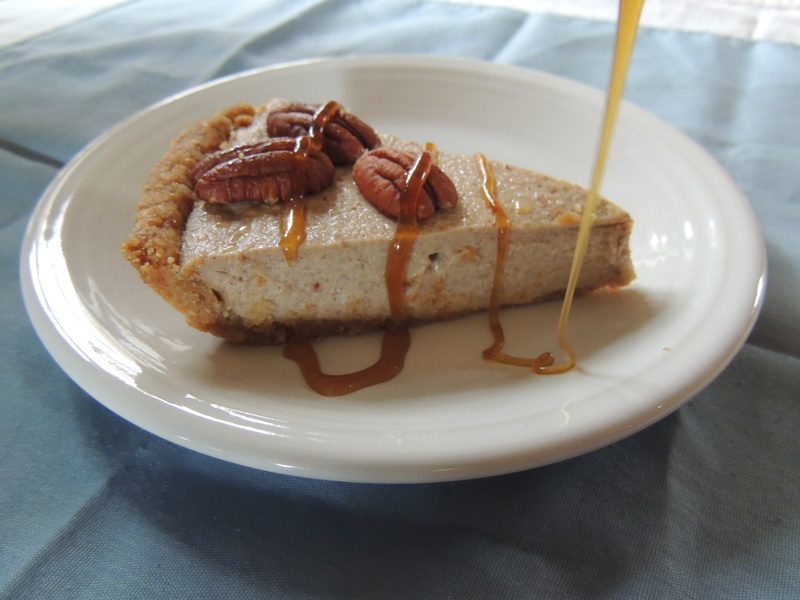 Today I am feeling in a soul food mood, so here is a gourmet vegan cheesecake. It is adapted from a recipe by Tal Ronnen, a very competent chef in his own right he has changed vegan food forever. If you get past his gardein obsession he has some downright delicious recipes! Preheat oven to 425 degrees Fahrenheit or about 218 degrees Celsius. Place 4 large very ripe and very brown bananas in the oven in their skins. Roast for 15-20 min until the skins are dark brown and they begin to ooze out of their peels. Take them out and let them cool to room temperature. Turn the oven down to 400 degrees (204 celsius). While the bananas are cooling down make the crust. Combine all the ingredients minus the butter in a bowl and mix well. Then add the butter and mix until well combined. Press into a 9 inch spring form or pie pan. Then place in the freezer for 5 minutes. After 5 minutes place the crust in the oven for 8-10 min until browning on the edges. Then place where the bananas were to cool completely before using. Peel the roasted bananas and remove any obvious strings. Puree bananas in a food processor (for this recipe you must have a food processor, sorry blender people) until very smooth. Add nondairy cream cheese (I used Tofutti), brown sugar, cinnamon, rum, cornstarch and salt then pulse until smooth, Remember to occasionally scrape down the bowl so everything gets incorporated. Do not overzealous and overprocess or cream cheese will separate and curdle you and it into a dark place! Now Pour the filling into the cooled pie crust and place in the oven. Bake for 10 minutes and then reduce the heat to 350 degrees and bake for another 35-45 minutes until completely set and a toothpick inserted into the center comes out clean as a whistle. Take out the cheesecake and let it cool on a rack, then place it in the fridge for a minimum of 3 hours- preferably overnight! While the cheesecake is baking you can make the maple rum sauce. Add Maple, Earth Balance, and Rum to a small sauce pan over medium-high heat and bring to a boil. Reduce heat to medium low and simmer until slightly thickened- 10 min. Remove from heat, let cool, and then transfer to a jar or squeeze bottle to put over the cheesecake. Don’t forget to savor this cheesecake! It is delicious and not nutritious. Stay tuned for my vegan baked mac and cheese recipe I am working on, let me tell you it is going to be a amazing! Plum restaurant in Oakland fired their whole staff, the general manager, head chef, sous chef, etc. This led to two other cooks leaving the restaurant as the regime change began. I worked one day under the new chef before I completed my internship with Katie, who was leaving the west coast in a couple weeks. Life moves on, the seasons change, and I bake muffins. 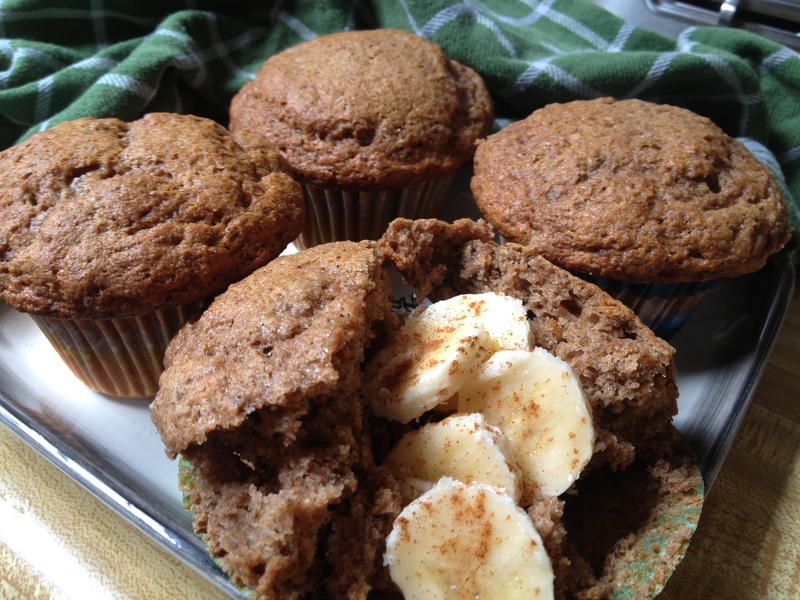 These muffins are adapted from a recipe in Dreena Burton’s Let Them Eat Vegan. Her recipes tend to be hit or miss, but this one knocked my socks off. In another bowl combine wet ingredients. Add wet to dry and combine gently until well mixed. Scoop into 12 lined muffin pan cups and baked for 23-26 min. If a toothpick comes out dry its ready! Stay tuned for rockin vegan dishes to eat for Thanksgiving, even if the theme is meat centric!